A Cook County woman has filed a lawsuit against her medical care provider after the misdiagnosis of her stroke led to permanent injuries. The lawsuit, filed on February 1, 2016, alleges that the plaintiff suffered physical and financial damages when her doctor misread a CT scan and delayed the treatment of her stroke. The defendants in the case are her doctor— Alejandra Campos and Pro Care Medical Center, which provided the plaintiff’s care. Yesenia Carrizosa, the plaintiff, is seeking over $50,000 in the lawsuit as well as additional damages to cover the cost of her legal representation. A stroke occurs when the supply of oxygen to the brain is limited either due to a blood clot that has formed in a major artery or a hemorrhage that has resulted in massive internal bleeding within the brain. Early diagnosis and treatment is critical to ensuring the most positive prognosis for the patient and delaying treatment can result in permanent physical and mental impairment. 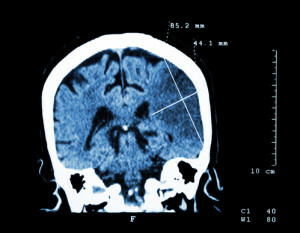 When doctors suspect that a patient is suffering from a stroke, they will order imagine scans such as a CT scan to determine whether there is evidence of swelling or a blood clot within the brain. On February 2, 2014, Yesenia Carrizosa suffered a stroke and was admitted to Pro Care Medical Center. Her attending doctor ordered a CT scan, but misread the result before misdiagnosing her condition and delaying the treatment of her stroke. She now suffers from permanent injuries and will never recover the standard of living that she experienced prior to her stroke. In addition to her permanent injuries, she has accumulated additional expenses for medical treatment related to her ongoing conditions. There is truly no value that can be placed on quality of life. Carrizosa is seeking over $50,000 in damages to cover the cost of medical expenses and a reduction in her quality of living moving forward. She is also seeking damages in the amount of attorneys’ fees and the cost of litigation and when considering the severity and permanency of her injuries, the damages sought are more than reasonable. It can be difficult to determine the financial impact of any injury that has a permanent impact on the victim’s physical and mental health. If you or a loved one has been injured due to a medical error or misdiagnosis, Rosenfeld Injury Lawyers LLC can help. Our award winning Chicago medical malpractice attorneys have helped thousands of clients just like you recover the full amount of compensation that they were entitled to when their doctors failed to meet their duty of care. Contact us today to arrange a free consultation with a lawyer so that you can learn more about your legal rights and options and so that we can gather all of the information we need to get to work on your case. We will never accept attorneys’ fees until we have successfully recovered compensation on your behalf, and our services will be free of charge if we are unable to secure damages.